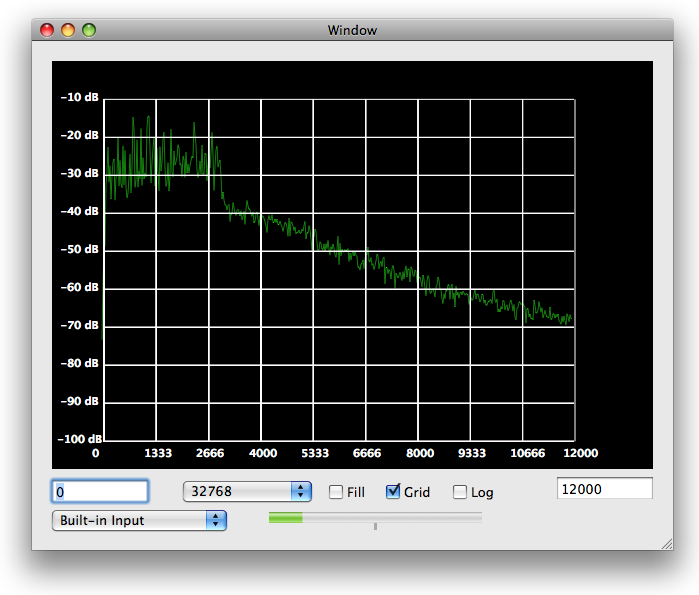 We also have Spectrum Pad and Function Generator Pad available for the iPad! Download a copy of Audio Toolbox right now, to try out without obligation! 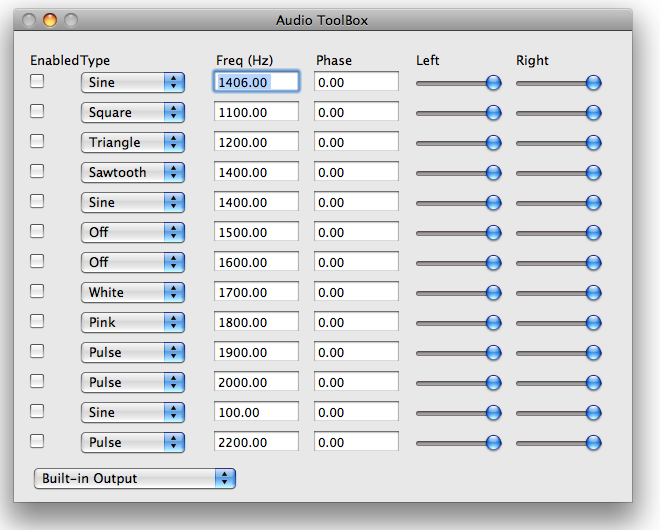 The cost of buying Audio Toolbox is only $19.99! 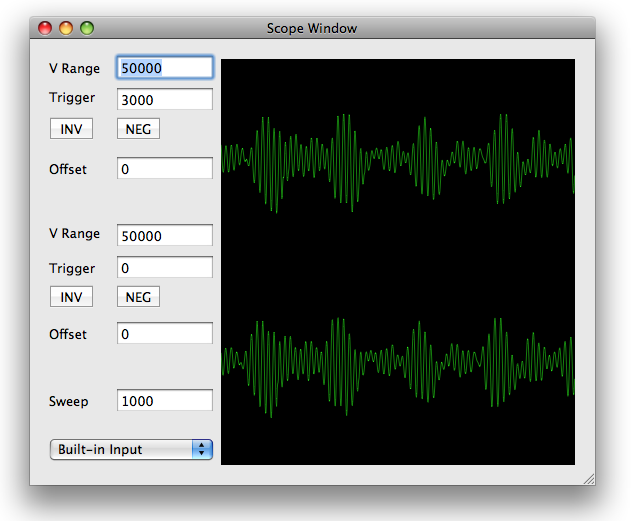 Mac Audio Toolbox can be used to create all sorts of cool sound effects. You have full control over the frequency, type and volume of each sound produced. A spectrum display allows you to look at which frequencies are present in an audio signal, using an FFT. The oscilloscope display allows you to look at the input waveforms for both left and right channels. 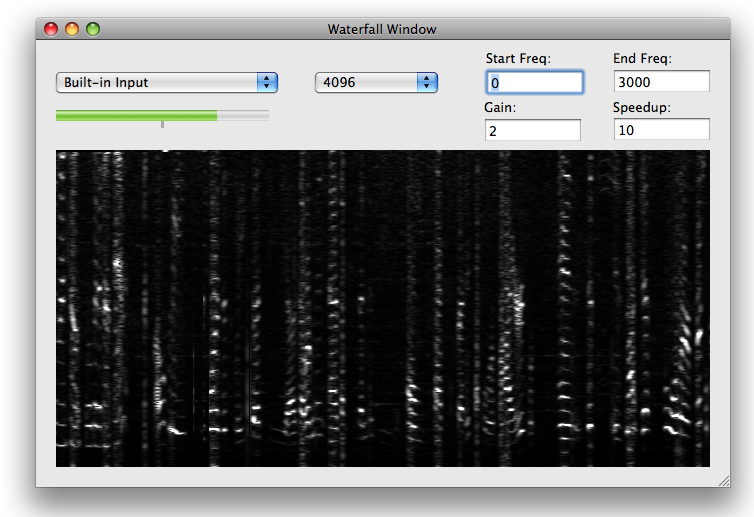 Finally, the waterfall display shows a history of the spectrum over time. 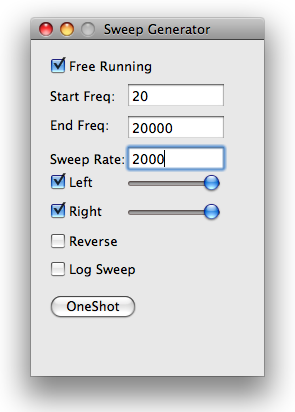 The cost of registering Mac Audio Toolbox is only $19.99!